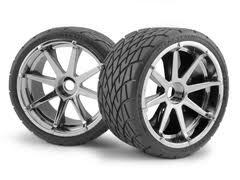 There’s a good article at Autoconverse on shopping for discount tire and wheel packages. There is some good advice too. As a funeral director, you have a responsibility to your clients and to your staff to keep your costs low. You also have a responsibility to ensure that your vehicles are safe to drive. How do you balance those two responsibilities? By purchasing good used tires, or tires on discount, that are safe to put on your hearse. Purchase your tires as a package rather than one tire at a time. Buy a set and you’ll save yourself money. Brand names cost more, but you can often get a good set of tires by choosing less well known brands rather than premium brands. Don’t go shopping for tires without writing down the make, model, and year of your hearse as well as the size tires you have on your vehicle right now. You want to be sure you get the right tire the first time. If you plan to add accessories like wheel locks and polishers, purchase them at the same time that you buy new tires for your hearse. You’ll save more money in the long run. For more service tips for your hearse, visit the Heritage Coach service tips web page.